Posted Sep 17, 2018 by Eds. 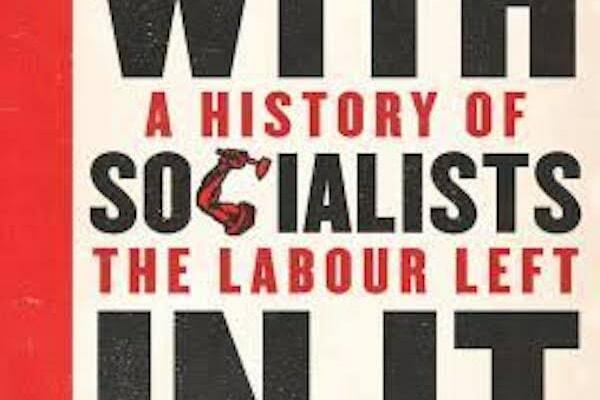 Review of A Party with Socialists in It: A History of the Labour Left by Simon Hannah (London: Pluto Press, 2018). This is a cautionary tale, a story of high hopes and bitter frustration. Despite more or less dynamic and determined efforts, which Hannah describes in often fascinating detail, the left in the Labour Party has only rarely achieved its first aim of setting Labour’s policy agenda, and almost never its ultimate goal of getting radical left policies implemented by government. Labour’s origins were different from those of the European social-democratic parties that drew inspiration from Marxism and were committed at least in theory to replacing capitalism. The Labour Party was formed in 1906 out of the Labour Representation Committee (LRC). The LRC was set up through the TUC some years after a wave of militant mass strikes had subsided, and at a time when workers’ rights were under attack. It drew together a wide range of left groups but was dominated intellectually by gradualists and constitutionalists, most of whom tended to reject a class analysis of society, let alone any commitment to class struggle, and organisationally by moderate trade-union leaders. Its first leader to become prime minister, Ramsay Macdonald, was typical. He advocated challenging the worst excesses of capitalism rather than transforming it. Its most influential intellectuals, the Fabians, opposed system change in favour of a commitment to progressive social engineering. There was a more radical, broadly socialist wing, grouped in the older Independent Labour Party, whose members formed the activist backbone of the party and ranged from Marxists to Christian Socialists. Keir Hardie was their charismatic leader, a man of strong convictions who passionately opposed inequality and took a brave stand against the horrors of World War One. Although his aims were much more radical than those of the Fabians, he shared a gradualist and legalistic approach, explaining in 1904: ‘I can imagine one reform after another being won until in the end socialism itself causes no more excitement than did the extinction of landlordism in Ireland’ (p.6). He also shared the moderates’ suspicion of ‘continental, intellectual ideas’, arguing that it was important ‘to have done with every “ism” that wasn’t Labourism’ (p.6). since it could not afford, like its opponents, to maintain a large army of paid party workers, the Labour Party required militants–politically conscious Socialists-to do the work of organising the constituencies. But since these militants tended to be “extremists”, a constitution was needed which maintained their enthusiasm by apparently creating a full party democracy while excluding them from effective power. Hence the concession in principle of sovereign powers to the delegates at the Annual Conference and the removal in practice of most of this sovereignty through the trade-union block vote on the one hand, and the complete independence of the Parliamentary Labour Party on the other (p.21). The left has had great trouble challenging this arrangement ever since. Labour’s first short lived government was a let-down. Elected in 1923 as a minority, it lasted only nine months. The record of the left was a warning. The ILP went into the government with 129 of the 192 Labour MPs as formal members including five cabinet ministers, but repeated attempts to push the government to the left were ignored. With the exception of an energetic programme of council housing, the party’s policies were alarmingly moderate. I have spent three years in prison and three years in parliament and I saw character deteriorate in parliament more than in prison (p.28). In the later twenties, the Marxist politics of the Communist Party had an increasing influence on the Labour Left. During the great general strike of 1926 many members of the ILP worked alongside Communists, providing solidarity and support for the strike. Many Labour Party members too shared the Communists’ contempt for the Labour leadership’s failure to support the strikers. However, despite the growing radicalism of a section of the party, and despite the depth of the crisis of the 1930s later on, the defeat of the General Strike was a massive setback to the working-class movement and forced the Labour left onto the defensive. Ramsay MacDonald’s second Labour government capitulated to the demands of the bankers in the face of the Great Crash in 1929. The left called for a massive programme of job creation. MacDonald took the opposite course, and launched the series of attacks on the living standards of working people which was demanded by employers. As the crisis came to a head in 1930, the ILP leadership wrote to its parliamentary group requesting that each of its MPs resist the lurch to the right and sign up to the principles of their manifesto, Socialism in Our Time, or leave the organisation. Most of the MPs left, shrinking its parliamentary organisation from 140 to just 18 (p.50). In the summer of 1931, MacDonald, backed by the Tories, implemented 97 million pounds worth of cuts. The cabinet split and MacDonald resigned, but only to re-emerge as Prime Minister in a coalition government with the Tories. MacDonald then called an election in which he and his allies stood as National Labour, as part of an emergency national government. The rump of Labour was hammered. Only 52 Labour MPs were returned. No further progress can be made in seeking to get crumbs from the rich man’s table…they cannot get socialism without tears, that whenever we try and do anything we will be opposed be every vested interest, financial, political and social (p.54). Throughout the next few years there was an unprecedented flowering of left-wing theory and analysis within the party. Despite this ideological challenge from the left however, and despite the short lived leadership of left-winger George Lansbury, the Labour right and the trade-union leaderships remained in control. The left could not find a way to break the power of the alliance between the right and moderate trade-union leaders. After prolonged struggle, they were defeated, a moment symbolised by the humiliation of George Lansbury at the 1935 Party conference at the hands of Ernest Bevin. In response, the ILP left the Party and its successor, the Socialist League, was forced to disband. Lansbury resigned. The moderates had won the day. These defeats for the left were followed a few years later, after the war of course, by the high point of Labour radicalism in office. The 1945-50 Labour Government did far more than any other in nationalising parts of industry, strengthening the welfare state and, of course, launching the National Health Service, the great achievement of Labourism in Britain. As Simon Hannah points out, the election of 1945 and the progressive manifesto were a product most of all of a popular mood generated by the war and the experience of the Great Depression. Terrible sacrifices had been made and the war had shown that central planning could be effective. On top of that, Labour had the experience of playing a central role in the wartime government. Crucially though, other factors came in to play. Many sections of business were prepared to go along with nationalisations which could help to modernise parts of a creaking infrastructure and take the burden of investment off private capital. Some were concerned too that without some sharp change the radical mood might become dangerous. The state was playing a greater role in the economy in many parts of the world at a time of shrinking international trade. For all these reasons in Hannah’s view, ‘the economic and social changes were not Labour’s alone; they enjoyed broad support across the establishment’ (p.79). This is an exaggeration; there was in fact a strong ruling-class pushback against the more radical elements of the 1945 manifesto. However, it is absolutely right that the gains of the 1945 government need to be understood in this wider context. Hannah is also right to point out that the promises of the manifesto to establish a socialist commonwealth of Great Britain was pared back to a series of important but limited initiatives in which the government was careful not to impinge too much on the material interests of the business class. Foreign policy was the most shameful aspect of the Attlee government’s record. At the end of the war, the Labour government was openly committed to holding on to as much of the empire as it could. It sent forces to restore French rule in Indo-China by crushing a Communist-led uprising and fought against a national revolt to shore up the Dutch in Indonesia. Without consulting parliament, Foreign Secretary Ernest Bevin ordered the manufacture of a British nuclear bomb. ‘We have got to have this thing over here whatever it costs’ he said, ‘we’ve got to have a bloody Union Jack flying on top of it’. As a result, many of the struggles of the Labour left in the 1950s and 1960s centred on foreign policy. The leadership’s position on nuclear missiles came under massive challenge from the rank and file. There were over 150 motions to the 1957 conference calling for a position of unilateral disarmament. As Hannah says, ‘the NEC was very worried about losing the vote’ (p.108). Dramatically, it was Nye Bevan, the leader of the Labour left, who ensured the unilateralists lost the vote with a barnstorming attack on the position as ‘a policy, not an emotional spasm’. The defeat of the unilateralists marked the demise of the Bevanite left which had kept up a fierce struggle against the backsliding of the Attlee government. Not for the last time, the left had come to grief because of its inability to break form Britain’s colonial ambition. As Hannah notes, ‘Bevan was a radical at home but had an integrationist Achilles’ heel when it came to international relations; he couldn’t break from the Labour right on this central question and in the end, this demobilised his movement’ (p.108). Hannah’s discussion of the 1974–1979 government is one of the most interesting parts of the book. The right, the decade’s political victor, has controlled the memory of these years and as a result the story of the 1974-79 Labour governments is a deeply distorted one in which state run, pro-union policies are blamed for creating chaos and misery. The reality was different. The 1974 government came to office on the back of massive and victorious strike action by miners, dockers and other key sections of the working class. It was elected on Labour’s most left-wing manifesto ever, which had partly been developed by left organisations in Labour. It called for an Alternative Economic Strategy (AES) which included a new round of nationalisations, tax rises for the rich, and wider state intervention in the economy. The leftward moving Tony Benn was in a key position as Secretary of State for Industry. The Wilson government ran into trouble within eighteen months. The problems were caused by a combination of a global economic shock and serious levels of sabotage from big business and big finance. The resulting combination of inflation and slump exposed the limitations of Keynesian demand management. But it also revealed that in the straightened circumstances of the 1970s, the ruling class would rather risk short-term economic chaos, through investment strikes and capital flight, than accept a government committed to even moderately redistributive policies. Faced with a combination of inflation, unemployment and business hostility, Callaghan, who succeeded Wilson in 1975, pushed through the biggest attacks on public spending and wage levels since the war, in the form of a social contract with the unions and later a programme of massive welfare cuts. Callaghan contemptuously dismissed the vote, making it clear it would have no effect on the government. Six weeks later the deal was signed and the AES-at least at a national level-was history (p.160). Healey later recognised that the figures that had been produced by the Treasury to show that the IMF loan was inescapable had been totally inaccurate. But the damage was done, and the result of this defeat was ultimately the biggest drop in working-class living standards since the Second World War. Worse still, the combination of economic chaos and the acceptance of the discipline of the market paved the way for the victory of full-blown monetarism when Thatcher won the election in 1979. His campaign focused on large public rallies, left caucus meetings in the trade unions, and fringe meetings at union conferences. His speaking tour took him to small pit villages where 300 miners would come out to hear him speak. Like the best parts of Bevanism, this breaking down of the traditional barrier between party and unions was a crucial component of the strategy of the new left, to forge a working alliance from below to push more radical demands. This made Benn public enemy number one for many union chiefs (p.171). Benn was only narrowly defeated, but under pressure from the parliamentary party, the NEC and many union leaders, he was persuaded to wind up what had become an impressive popular movement to radicalise the Party. The subsequent history of the Labour left is perhaps familiar to many readers. The left had been defeated at a national level, but nevertheless, some of the main protagonists of the right seceded to set up the disastrous centrist project of the SDP. This helped to ensure that Michael Foot’s Labour Party lost the 1983 election, setting the party on a three-decade rightwards trajectory based on the notion that ‘the left was only good for protesting and only ruthless right-wing pragmatism could achieve power’ (p.198). This approach ended, of course, with its logical outcome in the disasters of Blairism. There was some resistance from the left in Labour, including a concerted attempt to fightback at the level of the local councils in a strategy of ‘municipal socialism’. Despite important successes in London and elsewhere, this attempt to fight ‘in against the state’ came to grief. As Hannah comments, ‘for the municipal socialist strategy to work, it would have taken an iron-clad united front of councillors and councils across the country to beat Thatcher. When it came to the fight…the troops proved unreliable’ (p.175). The Blair years deepened a growing popular alienation from the political elites. Unsurprisingly in retrospect, it took the outsider Jeremy Corbyn, probably the political figure least associated with the Labour establishment, to galvanise the accumulating bitterness. Amongst other things, Hannah points to Corbyn’s defiance of the Labour leader’s call to abstain on the Tories vicious 2015 Welfare Bill as an explanation for Corbyn’s success. This characteristically principled vote was crucial and helped to cement Corbyn’s reputation as a principled fighter. But it doesn’t explain the conundrum of the Corbyn ascendancy; the fact that it coincided with historically low levels of organisation of the Labour Left. Corbyn was selected to stand at a ‘diminished meeting of the parliamentary Labour Left…His candidature…was greeted with derision’ (pp.221-22). Corbyn was able to electrify a constituency of members and activists way beyond the party for three connected reasons. In general, grassroots anger at Labour’s complete capitulation to neoliberalism had reached boiling point. However, it was crucial that this anger had been given some direction by a series of massive extra-parliamentary mobilisations. These included the protests against the Iraq War and the subsequent interventions, the demonstrations against Israeli attacks on the Palestinians and a series of powerful mobilisations against austerity organised by the TUC and the People’s Assembly. Not only had these protests helped to channel anger against neoliberalism and its political regime to the left, Jeremy Corbyn had been one of the movement’s leaders. This fact increased respect for him and provided him with an activist base, many of whom joined Labour in 2015 and 2016. In this sense, Corbyn’s leadership campaign was an insurgency. Hannah tends to underplay the structural nature of the current crisis in Labour and this makes the end of this very valuable history a little bit of a let-down. To say: ‘Labour looks set on a transformative path’ and ‘for the first time in a generation, there is an alternative’, (p.240) raises a set of questions that aren’t properly addressed. 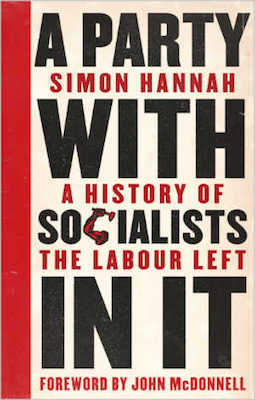 It is absolutely right for Hannah to say, ‘only if Labour’s support base is not only sympathetic but active and mobilized, able to counter all of the threats and obstacles, can a positive outcome be achieved’ (pp.240-41).The question that jumps out at the reader here is, how is the left going to make this happen this time, when it has failed repeatedly in the past? It would have been useful to have dedicated some of the final chapter to discussing the causes of the left’s serial setbacks. Otherwise there is a risk that the lessons of what is after all a fairly sobering history are reduced to ‘must do better next time’. Given the forces of the state, the media and the Labour right that are ranged against Corbyn, he and his project need more than enthusiasm and high hopes. Nonetheless, Hannah has told a story here that we all need to know. Chris Nineham is a founder member of Stop the War and Counterfire, speaking regularly around the country on behalf of both. He is author of The People Versus Tony Blair and Capitalism and Class Consciousness: the ideas of Georg Lukacs.